Northwest National Real Estate: Price Reduced! Historic Tudor Revival! Price Reduced! Historic Tudor Revival! A charming historic Tudor revival style cottage is now for sale and perfectly located near Lemmon High School on two lots. This home is perfect for anyone that enjoys quality craftsmanship, beautiful woodwork and an original, but traditional floor-plan. The home boasts four bedrooms, three bathrooms and a unique apartment that could be restored for multiple uses. 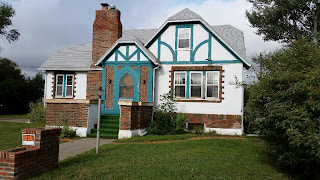 This Tudor style home adheres to all of the architectural requirements with half-timbering, gabled roof, fireplace, wood trim, prominent chimney and breathtaking original small pane windows. The formal living room is spacious with windows on three sides exposing the room to ample amounts of southern sun. Immediately adjacent to the formal living room is located a large parlor that could be transformed into a library or entertainment room. The formal dining room with its two built-in corner china cabinets and immediate entry to the kitchen through a traditional swinging wood door will oversee many family gatherings. Hardwood flooring can be found throughout the house and carpeted areas could be easily taken up and the wood restored to its previous grandeur. The home has several original fixtures which add greatly to the historic nature of this treasure. 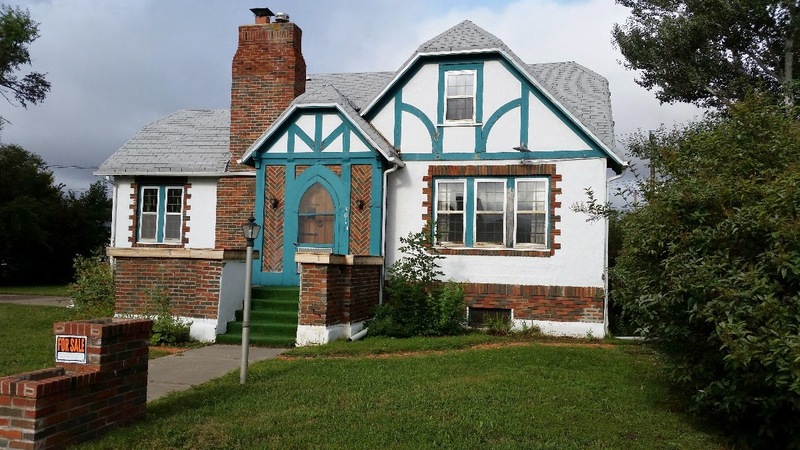 Do not miss an opportunity to own this historic property located in Lemmon, South Dakota. Priced at $99,000.